Easter is around the corner and that means it’s time for the annual Horner Park Doggie Egg Hunt! The event will be held on Saturday, March 26th from 1-3 p.m. behind the field house. You can buy discounted tickets in advance at http://www.brownpapertickets.com/event/2501328 or pay $10 at the door. 1:00 Event Opens, swing by the registration table to pick up your bandanas! Vendor tables will be open throughout the event. Come check out these dog-friendly businesses! 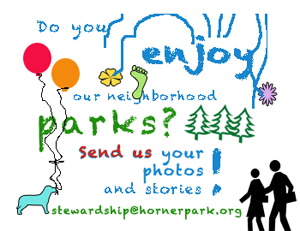 If you would like to host a table, please contact info@hornerparkdogpark.org. Photographs with the Easter Bunny will also be available throughout the event for an additional fee (except while Bunny leading the parade). Proceeds will go to support the Horner Park Dog Park initiative. Thank you to Rover Time, The Book Cellar, Urban Pooch and DSpa Grooming for generously providing the prizes. Please note that the entire event will be held outdoors and plan accordingly. Dogs will no longer be allowed in the field house.